After two eventful races at Silverstone for MotoGP and Moto2, Moto3 uncharacteristically was the last race of the day. Alex Rins started the race with a pole position but the excitement meant the nobody was going to let him off easily. 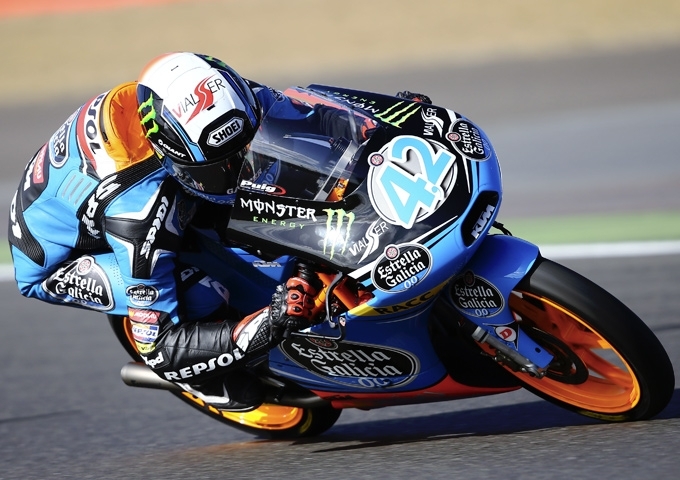 An all-Spanish tussle saw Rins, Marquez, Salom and Vinales all fight for victory from the very start. On the last lap Salom took the lead, just in front of Rins and Marquez. The top four were separated by just 8 tenths of a second at the chequered flag.